Should you be inclined to recognize your hair transplant surgeon’s impending plan to restore your hairline, translating the physical details may be difficult to accomplish. The final result of your hairline may or may not be consistent with the visual evidence within the immediate post-op design. The design of the hairline should not only frame the face but also be unique to your characteristics. Obviously each patient has unique goals, but the hairline’s curvature and location can be similar to what is seen in the immediate post-op period. After a patient leaves the care of a given clinic, there may be some swelling on the frontal hairline, so adherence to post-op instructions is important. Scabbing naturally occurs and should subside within about three to four weeks but some pinkness may remain. Before and after scabbing discontinues, there may also be visible hair fragments that accompanied each successfully transplanted graft. In many cases that don’t involve corrective hairline work, the new hairline can be located within about one centimeter of the hairline design. 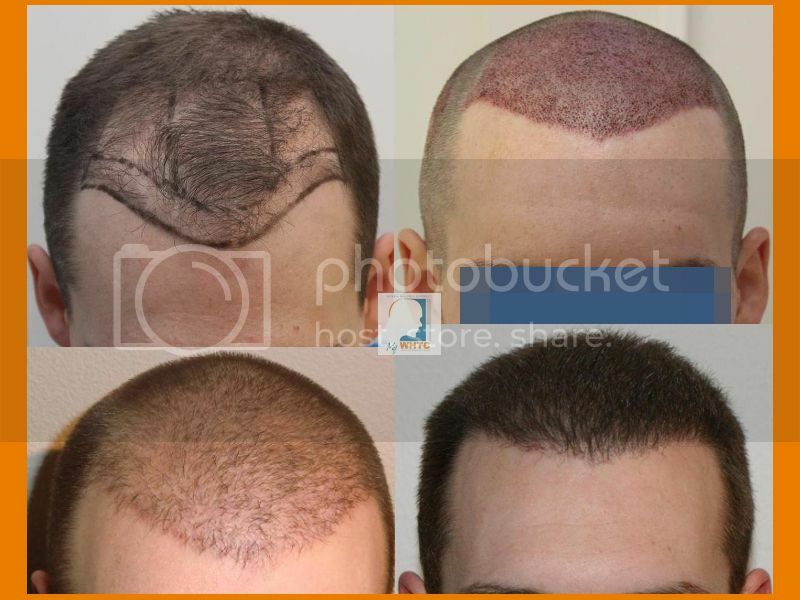 After healing, the actual appearance and density of the new hairline can easily be unpredictable. Under a given measure of magnification, a given density can be calculated by the surgeon, and placement will be consistent to your goals and surgeon’s standard. For example, more conservative surgeons will prefer to place a 40-year-old male’s hairline at 40 follicular unit grafts per square centimeter. Although the final density on the hairline can remain unknown to patients, placing too high of a density might adversely affect the growth. Surgery only offers the illusion of fullness, so no patient should have surgical hair restoration if expectations aren’t properly managed. As a treatment solution, hairline restoration can only be consistent with your goals and donor availability. Those who seek hair transplant surgery and manage expectations can effectively navigate on the road to combat hair loss.